At irregular intervals the Koblenz International Guitar Academy presents its “Lifetime Achievement Award” to someone who has made outstanding achievements in service of the guitar. Until now the prize has been awarded to Pepe und Celin Romero, Konrad Ragossnig, John D’Addario and Bernard Maillot. 2019 sees the 30th anniversary of the fall of the Berlin Wall, to which Wolf Biermann through his songs and guitar, played his part in helping bring this about. For this reason, and even more while we see him as someone belonging to the great tradition of the “Deutsche Lied”, who through his own unique style has helped find a place for our instrument in this tradition, we would like to honour Wolf Biermann with the “Lifetime Achievement Award”. 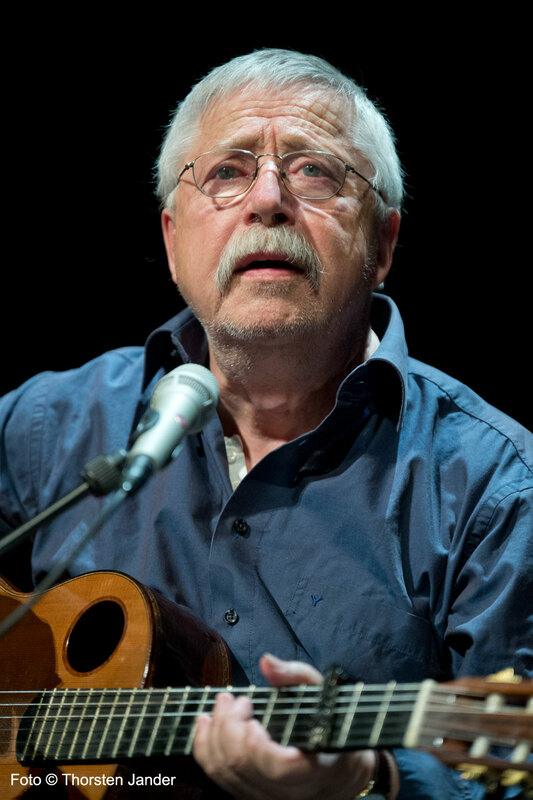 And thus Pentecost Sunday (9 June 2019) is dedicated to the composer, poet, singer and guitarist Wolf Biermann. Under the title „Wolf Biermann und das deutsche Lied“, Prof. Dr. Stephen Goss (London), Prof. Hans-Werner Huppertz (Aachen) and Prof. Dr. Willi Nieratschker (Koblenz) will give a lecture (Rhein-Mosel-Halle, Rheinsaal, 14.30 Uhr) explaining the position and importance of Wolf Biermann in the centuries long tradition of the “Deutsche Lied”. After the lecture our dear friend and someone who has been associated with the Koblenz International Guitar Festival & Academy for many years, the Grammy prize winner, David Russell, will perform a solo recital (Kurfürstliches Schloss, Kaisersaal, 16.30 Uhr) dedicated to Wolf Biermann. To round the day off, the award ceremony, which will take place during the evening concert (Rhein-Mosel-Halle, Großer Saal, 20.00 Uhr) with music from and for Wolf Biermann. In the first half Alexander Gelhausen (Vocals), Shai Terry (Vocals), Mayan Goldenfeld (Vocals), Larissa Botos (Vocals), Sebastian Sternal (Piano), Frank Haunschild (Guitar), Reza Askari (Bass), Fabian Arends (Drums), Hubert Käppel (Guitar), Nora Buschmann (Guitar), Hans-Werner Huppertz (Guitar) und Olaf Van Gonnissen (Guitar) will interpret works by Wolf Biermann. This is followed in the second half with Wolf Biermann himself performing a selection of his songs.